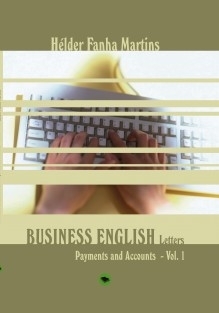 This study and reference guide is divided in more than one volume and will, on the one hand, provide you with short guidelines for writing business letters that will deal with the business world quickly, effectively and courteously. On the other hand and above all, it will present to you numerous business letters examples in the category of Payments and Accounts (Vol. 1), divided into several sub-categories in order to embrace as many situations as possible.